Hi everyone! Welcome back for another addition to our Sew Solid video series. In this series, we turn some of our favorite things into novelty blocks using Moda Bella Solids. Our newest Sew Solid quilt, Panda-Monium was inspired by these yummy Hello, Panda snacks. Isn't she a cutie? 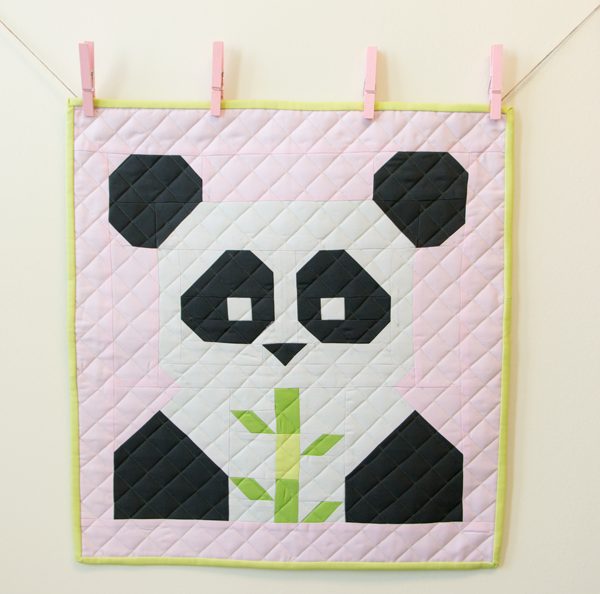 You can make our version with our Panda-Monium quilt kit. 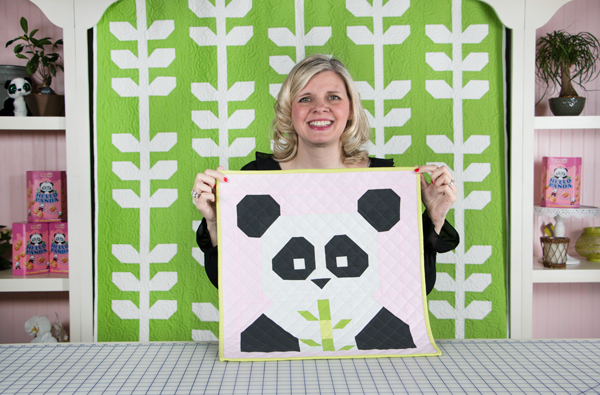 Watch Kimberly's video tutorial and download our FREE pattern so you can start sewing the Panda-Monium quilt! Don't forget about our bloggy friends to see their version of this cuddly creature! Thank you so much for joining us today! Share your Panda-Monium quilt on Instagram, Facebook & Twitter with #pandamoniumquilt. And... let us know what Sew Solid quilt you want to see next in the comments section on our blog!